Is David Letterman Getting a Pass Despite Past Sexual Misconduct? 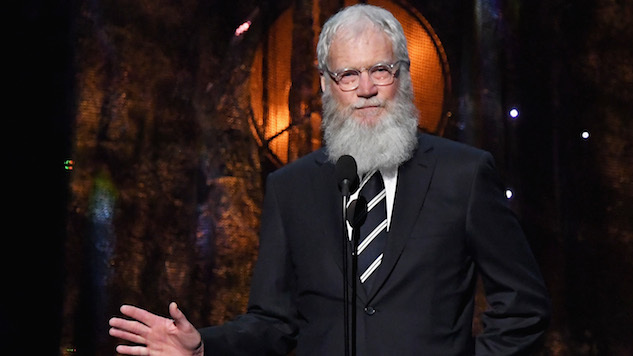 David Letterman has been in the news recently for his forthcoming Netflix show, My Next Guest Needs No Introduction with David Letterman, which will premiere on Jan. 12 and feature former president Barack Obama. However, in light of the #MeToo movement that became Time’s 2017 Person of the Year and was highlighted in last night’s Golden Globes, why does David Letterman get a pass for repeated allegations of sexual misconduct? In 2009, Letterman revealed during a live broadcast of his late-night talk show that he had engaged in sexual relationships with several female employees of his show, all while being married to his current wife Regina Lasko, also a former staffer. In that same broadcast, it was revealed that Letterman had been blackmailed into giving someone a fake $2 million check because they threatened to produce a movie and write a book about his past sexual misconduct. It came out that former CBS producer, Joe Halderman, was the extortionist and he was convicted of attempted extortion in 2010. Looking at it now, yes, I think they would have had good reason to fire me. But at the time, I was largely ignorant as to what, really, I had done. It just seemed like, O.K., well, here’s somebody who had an intimate relationship with somebody he shouldn’t have had an intimate relationship with. And I always said, “Well, who hasn’t?” to myself. But then, when I was able to see from the epicenter, the ripples, I thought, yeah, they could have fired me. But they didn’t. So I owe them that.